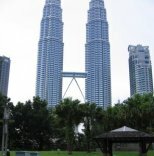 The National Planetarium was officially opened by the Former Prime Minister of Malaysia, Tun Dr. Mahathir Mohamad on February 7, 1994. The objective of the planetarium is to educate the general public about space exploration, our solar system and the field of astronomy through the exhibits and shows in this facility. This facility is made even more exciting with the sending of Malaysia's first astronaut to the International Space Station in year 2007. Various exhibits that show the space suit, the International Space Station and how the Ariane spacecraft is launched are also explained. 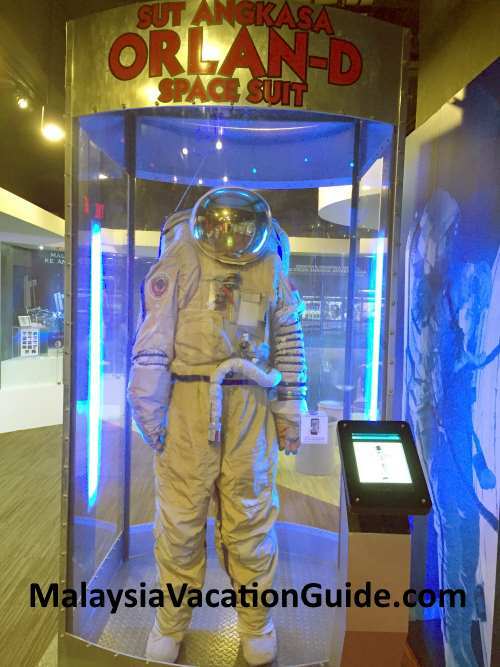 Join the over 150,000 visitors that visited this centre annually and learn a little bit more about space travel. 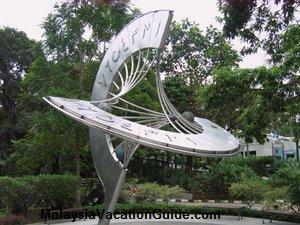 It is located just outside Perdana Botanical Garden, near the vicinity of the National Mosque. 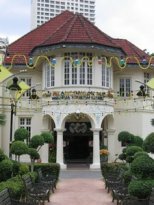 As you walk up the steps towards the planetarium, you will be able to see the Ancient Observatory Park outside this building. There is a replica of the Jai Singh Observatory of India. This pod is the latest addition after the planetarium was closed for upgrading work. It stimulates the space travel for about 4 minutes and let you experience the different planets in our solar system that you will encounter as you travel through space. Call up and enquire if you want to try this as there is a limit to the number of people who can use it in a day. The entrance to the exhibit is free. Here are some of them. Meteorite weighing 10kg which was discovered in Argentina in the year 1576. Applications of different types of waves in our daily life such as radio wave, microwave oven and X-ray. 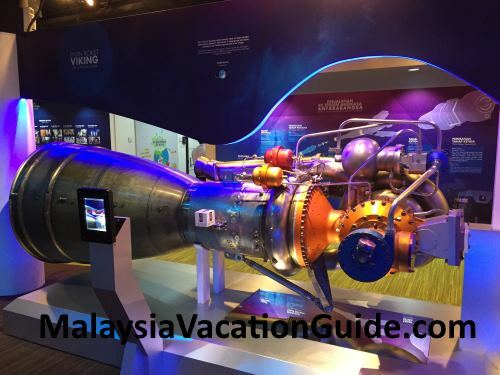 Engine of the Viking space craft. 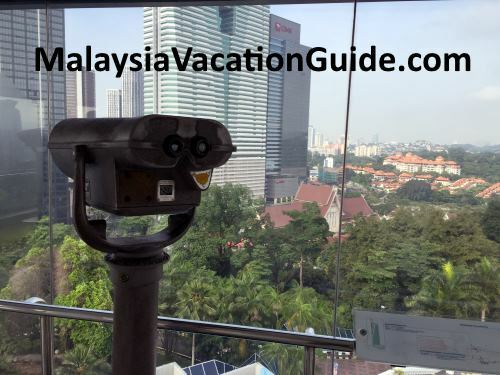 Visit the Viewing Gallery which is located on the second level where you will be able to see the city of Kuala Lumpur using the telescopes provided here. You can take the elevator to the gallery which is located towards your left as you enter the main building. 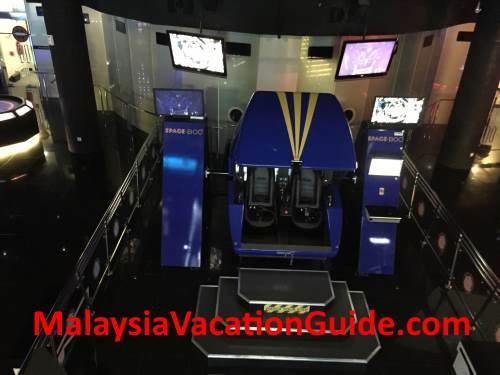 See the city of Kuala Lumpur at the viewing gallery which is located at level 2. The observatory is the place to view the sun which is located over a distance of 150 million km. Here are the visiting days and hours. Make sure you come during these days and time if you want to see the sun. 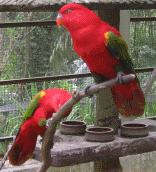 However, the observation is subjected to weather on that day as you may not be able to see the sun on a cloudy day. If you are a teacher and would like to plan a visit to this place, book the pre-school or primary school activities that help to educate the children about space science. It is held every Tuesday from 10am-11am and 11:30am-12:30pm. Arrange the planets in the correct order. As with any planetarium, Space Theatre shows are shown throughout the day. Ticket is priced at RM12/adult and RM6/child. 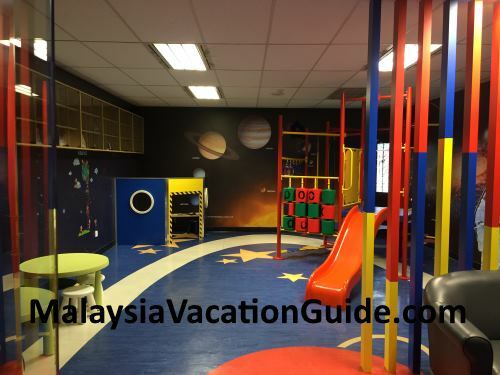 Adult with MyKad pays RM8 and child with MyKid pays RM4. To Space & Back is a movie about how the space exploration technology is paving the way for the use of this technology in devices that we use everyday. TILT is about two siblings who caused the earth to snow even in summer and how they managed to fix the problem with the help of a robot. Widest Weather In The Solar System shows the powerful, mysterious and beautiful weather phenomena in our solar system. 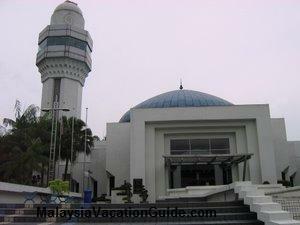 The Planetarium is open daily from 9.30 am to 4.30 pm (except on Monday, Hari Raya Puasa and Hari Raya Haji). Space and Time Sculpture at the compound of the facility. Taking a taxi is the most convenient mode of transport to the facility. 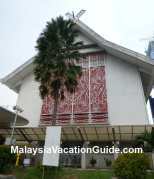 However, if you don't mind walking, you can use the KTM Komuter train and stop at Kuala Lumpur Station. Take a 20-30 minutes walk towards the lake and follow the signage to the planetarium. If you drive, free parking are provided at the planetarium’s premises. For further enquiry, call +603 2273 4301.